In March, construction suddenly halted on a 25-unit residential complex in Philadelphia’s Old City neighborhood. No, NIMBYs weren’t protesting. There wasn’t a permit issue, or a financing problem. Workers unearthed a site where, to date, the remains of close to 500 colonial-era people have been identified: the former First Baptist Church Burial Ground, an early Philadelphia cemetery established in 1707. The story made national headlines, and people were surprised. But the members of a nonprofit organization dedicated to the protection of Philadelphia’s archeological resources, Philadelphia Archaeological Forum (PAF), know that this actually happens fairly often. Too often, they say. As longtime advocates for those who can no longer speak for themselves, PAF is lobbying for clearer municipal laws that compel developers to handle such remains respectfully. 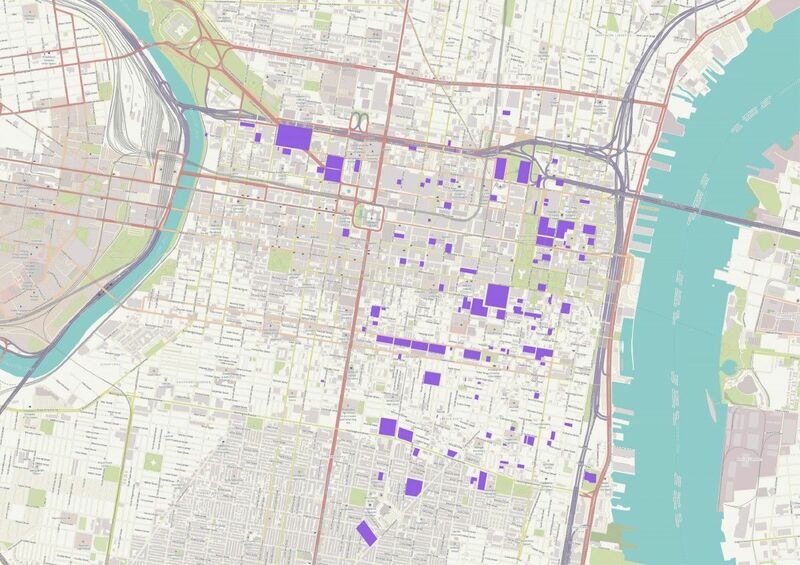 The nonprofit also plans to release a comprehensive database with 117 historic burial grounds in central Philadelphia, with the hopes that consulting it becomes part of the planning process for new development. According to research conducted by Doug Mooney, president of PAF and a member of Philadelphia’s newly minted Historic Preservation Task Force, the earliest known discovery of unmarked human remains in Philadelphia dates back to 1743. Since 1800 there have been 85 separate, documented incidents of unmarked cemeteries in Philadelphia being impacted by construction at 52 different historic burial grounds (some had repeat offenses). Of these, 20 unmarked cemeteries have been affected since 1985 — the last time the Philadelphia Historical Commission’s ordinance was updated, granting it expanded rights to protect archaeological resources. Cities expand over time, and this growth inevitably impacts cemeteries that were once on the periphery of an urban center. Historic burial grounds are often carefully relocated, to allow for new development that preserves urban density. In cemeteries where burials were stacked (sometimes as deep as three or four coffins), relocation frequently has not been thorough and human remains have been left behind. The problem, specifically in Philadelphia, according to PAF, is what happens when a historic burial ground is discovered. In the absence of clear legislation and a designated law enforcement agency to ensure compliance, developers are often left to their own devices. Other historic areas of the United States, such as Rhode Island and Boston, have clear legislation in place protecting historic human remains, but in the opinion of several local archaeologists, preservationists and historians, Philadelphia’s laws are insufficient. The current procedure, as understood by PAF, is that a developer who discovers human remains must contact the police to have a medical examiner determine whether the remains are historic or part of a more recent crime scene. If the remains are identified as historic, the property owner must petition the Orphans’ Court and present a plan for exhuming and reburying the remains. Assuming the Orphans’ Court approves the plan, the developer is then responsible for assuming the costs of excavation and reburial. “The developer is required to do it, but the question is who is required to make them do it?” adds Jed Levin, a member of PAF working on the database of Philadelphia’s historic burial grounds, and a National Park Service archaeologist. PAF believes that once a cemetery is found to be impacted, the legal procedure should be exceedingly clear. “The events surrounding First Baptist are what inspired us to move this forward,” says Mooney, explaining that although the historic burial grounds database project has been in the works for nearly a decade, they were spurred by these recent events to publish their findings now. For the time being, Philadelphia’s Orphans’ Court made an unprecedented ruling in August that the developer of the First Baptist Burial Ground site must enable and pay the expenses for an experienced building and engineering firm to map the burials, excavate and remove the coffins, and reinter the bones no later than August 2020. Another Orphans’ Court hearing will take place on Oct. 30. It is PAF’s intention that consulting the database of known cemeteries and private family plots — the organization plans for it to be hosted on a public platform — becomes an integral part of the due diligence process for both developers and the city of Philadelphia when considering new projects. Knowing what to expect could reduce the frequency of these instances, help ensure the respectful disinterment and reburial of historic human remains at a more permanent resting place, and allow developers to plan their construction budgets and timelines appropriately. The database, originally the personal research of archaeologist Kimberly Morrell, has been assembled from historic maps, newspapers, academic theses and other sources. Research is ongoing, but the database is the most comprehensive such resource to date. Karen Chernick is a Philadelphia-based freelance journalist, with an affinity for stories about people and places. Her writing has appeared on Artsy, Curbed Philadelphia, Hidden City and PlanPhilly.